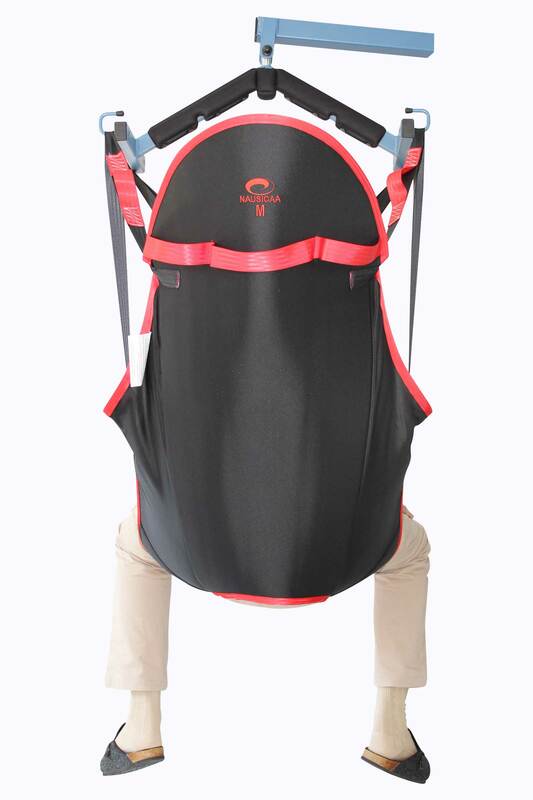 The Ergonomic Sling’s back part associated with its headrest in rigid foam lined with a 3D fabric increase comfort and allow to protect the spine during transfers. Its high level of comfort and its integrated rigid headrest make it suitable for the transfers of agitated and anxious patients. 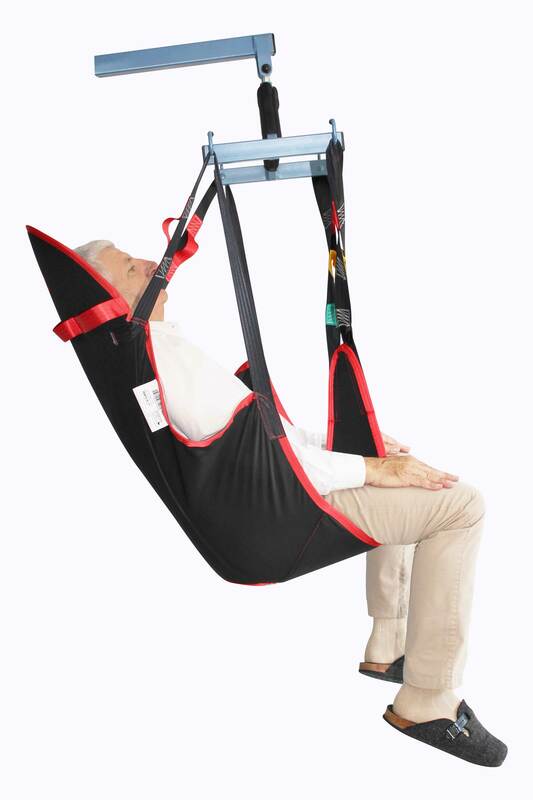 Its U-shape avoids the placement of the sling under the patient’s buttocks, making the installation and removal comfortable for the patient and accommodating for the caregiver. 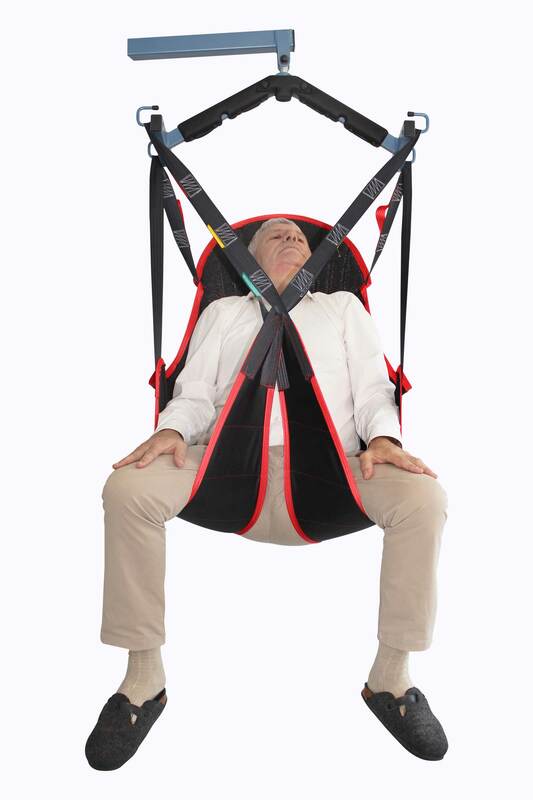 We recommend using it for bed to chair to bed transfers and for “lifting from the floor“ transfers in a lying position.